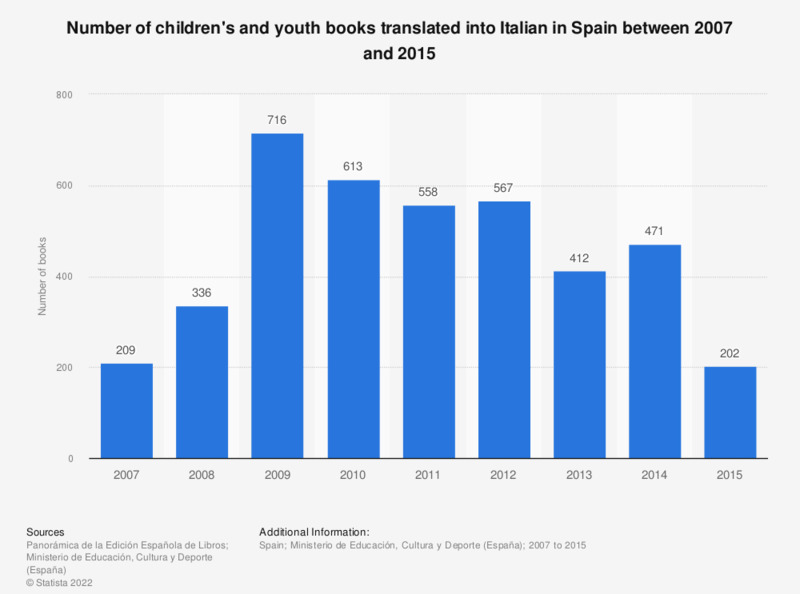 This statistic shows the translation volume of children's and youth books into Italian in Spain between 2007 and 2015. In 2015, the number of children's and youth books translated into this language within the Spanish publishing industry accounted for approximately 200 titles, which represented an increase of about 270 books compared to the previous year. Figures for years 2007 to 2009 were previously published by the source.